Bank Owned Charmer! 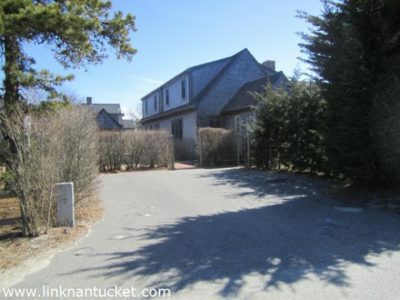 This four bedroom, two bath single-family home is undoubtedly one of the best values on Nantucket for under $500,000! Conveniently located, this home offers a great entertaining floor plan, gorgeous interior finishes and has a spacious, private yard. Property is being sold as-is. Lower Level Partially finished basement consisting of a spacious room with cork flooring and access to a crawl space with mechanical/electrical equipment. This area would be perfectly suited for an exercise room, office or media/living room.